Like most of America, I went to see Avatar this weekend. 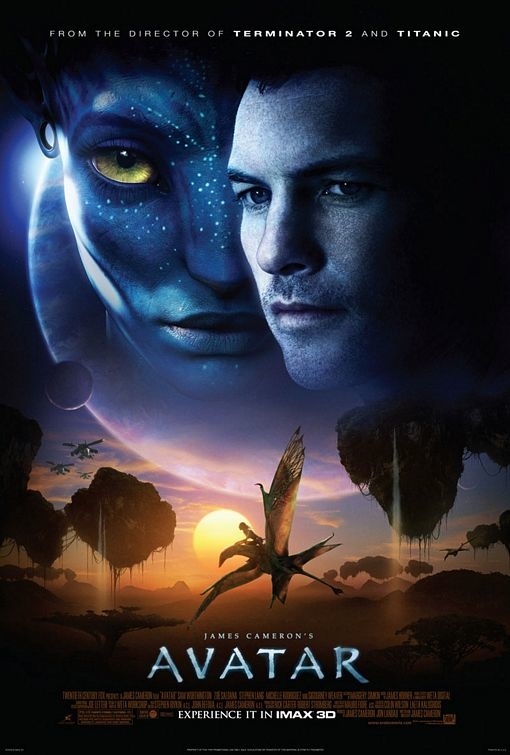 I had seen a lot of press about the film, but really didn’t know what Avatar was going to be about, so I was skeptical. I enjoyed the story and the special effects, but what I really thought was amazing was the film’s visual perspective. James Cameron spent incredible amounts of time to ensure the film had depth, not just the 3D feeling of many other films, but depth perception as perceived by the human eye. Avatar is the future of film making. This entry was posted in Entertainment and tagged James Cameron, Movies, Sam Worthington, Zoe Saldana. Bookmark the permalink.